Driving in Portugal, some other British drivers will tell you, is not for the faint of heart. A saying you often hear in Portugal is that the locals never hurry unless they’re behind the wheel of a car. In our experience, however, it’s fine once you’re used to it! This article covers everything from the legal practicalities of taking your own car there, to taking the Portuguese driving test. Driving is one of the most important things to research if you’re planning on living in Portugal. It’s a huge topic, and one where there’s a considerable amount of misinformation out there if you ask the wrong people. Expat forums are a specific culprit in this case. The good news is that in much of Portugal the roads are considerably quieter. This, in theory, makes for a less stressful driving experience. One thing for certain is that driving in Portugal is rather different to driving in the UK. The good news is that in much of Portugal the roads are considerably quieter. This, in theory, makes for a less stressful driving experience. However, once you take into account a driving style that can seem rather “erratic,” and a poor state of repair on some roads, things begin to even out somewhat. Still, it is fair to say that driving in Portugal isn’t especially daunting once you’re used to the local customs. There is also excellent public transport in Portugal so you can ease your way in to driving as you get more comfortable with life there. 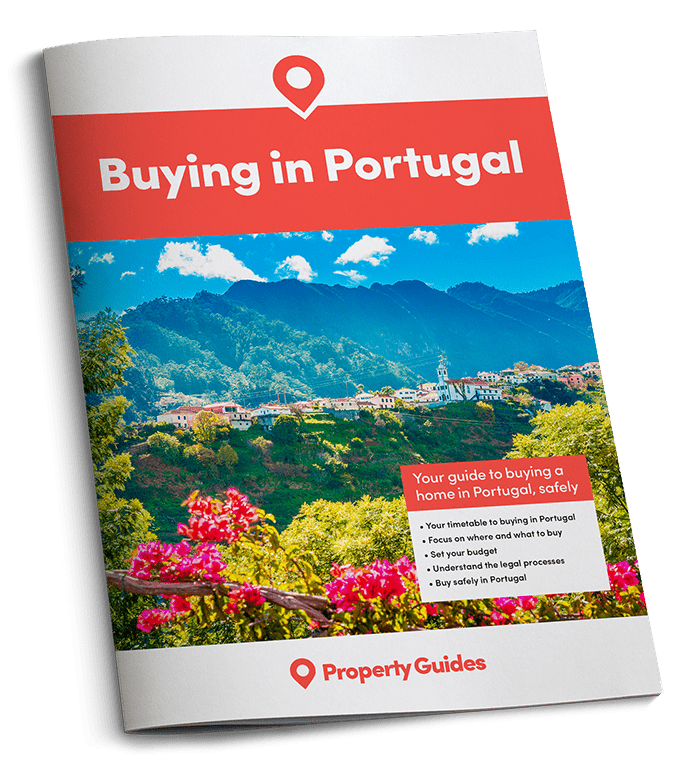 If you’re ready to make the move this year, Portugal Property Guides will be at three Your Overseas Home shows in the months ahead, in Harrogate, Birmingham and London. Apply here for free tickets. Before getting behind the wheel in Portugal, there are various practicalities and legalities to negotiate. These include purchasing a vehicle (or importing one), and dealing with licenses, tax and insurance. Although some expats take an ambivalent approach to these details, it’s an unwise strategy. Random roundabout stops and specific road safety initiatives often catch out drivers who’ve not ticked the right boxes. Sanctions can be severe. New arrivals to Portugal are often staggered by the price of cars. Portugal is among the most expensive countries in Europe for cars and transport. Furthermore, this high initial cost cascades down to the price of second-hand vehicles. One small trade-off is that Portugal’s climate means that cars are less susceptible to rust. So at least your car should last longer. Even so, cars are one of only a few items that go against the general rule of Portugal’s low cost of living. There’s rarely such a thing as a “cheap, reliable old runner,” which is a big disappointment to many expats. There are obviously plenty of benefits to buying a locally registered car, but you may well need to budget more than you’d first expect. If you’re buying a car in Portugal, remember to get a quote from our currency partner, Smart Currency Exchange. This is why a surprising number of people consider taking their car with them to Portugal. It’s important to point out that you cannot simply drive your UK car to Portugal and use it there indefinitely. Nor should you get around the rules by driving over the Spanish border and back every now and then. Although some expats do; usually those who take a creative approach to Portuguese law generally. It is legal to run an insured, EU-registered vehicle in Portugal for up to six months. But this does not apply if you’re taking residency in Portugal. The laws and procedures are clearly laid out here, on the Gov.UK website. You are supposed to inform Portuguese customs within 20 days of arrival. Subject to certain conditions you are allowed to import one vehicle per person to the country tax-free. You must have owned the vehicle for six months beforehand, however. The “tax free importation” regime is complex. As with many things in Portugal, individual experiences vary. Some people methodically work through the bureaucratic steps and complete the process themselves with little cost and little hassle. Others have to jump through hoops and find it very difficult. Some even pay for the assistance of lawyers. While you might get used to the driving, matriculating a car into Portugal really isn’t for the faint-hearted! This applies both to the tax-free regime and if you’re paying the full import tax. The latter is rarely worthwhile. However, if you have a car you’re attached to in the UK, and are happy for the steering wheel to be on the wrong side in Portugal, it’s worth considering. You get the added benefit of being able to drive the car to Portugal with some possessions. Also, you could end up with a car you wouldn’t otherwise be able to afford at Portuguese prices! It all depends how much you value your time and how much paperwork you’re willing to do. Road tax in Portugal works in a similar way to the UK, and costs are based on emissions. Tax starts out really low, to the tune of €60 per year on a small, non-polluting vehicle. However, the numbers can get pretty eye-watering for larger gas-guzzlers. Another reason to decide not to do your driving in Portugal in a big car imported from the UK. Road tax is payable annually. Most people go to their local Loja de Cidadão (Citizen Shop) to renew it and obtain a new paper document. You display this in the car windscreen. Car insurance is another area where Portugal’s motoring experience differs significantly from that of the UK. The key difference is that you insure a specific car, rather than a person (or people) to drive that car. This means you’re (generally) free to let anyone drive your vehicle if it’s insured on a Portuguese policy. However, check this before assuming anything! Third-party insurance is mandatory before driving in Portugal, and there are fire and theft and fully-comprehensive options. Another little difference is that insurance companies in Portugal will rarely offer anything other than third-party insurance for cars that are more than ten years old. If you do decide to go down the route of matriculating a UK car, or are driving between countries for any other reason, you’ll need to carefully check you’re insured every step of the way. The “Your Europe” website provides information on this. 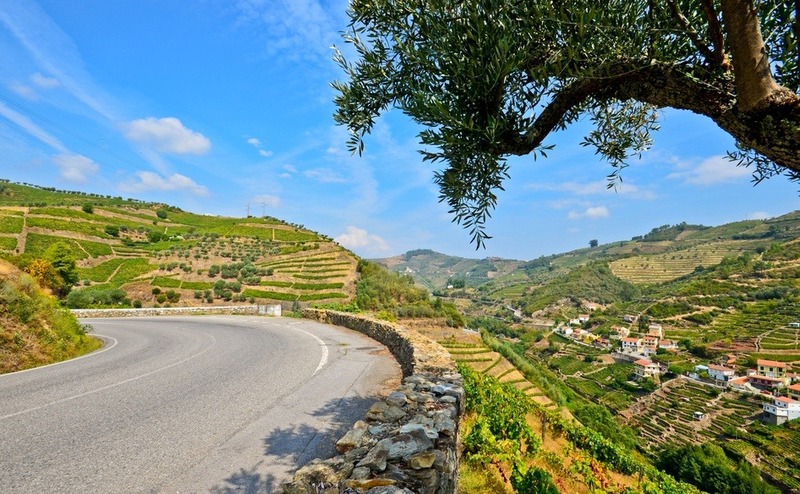 At the time of writing, your UK-issued EU driving licence is valid in Portugal. However, this could change depending on the outcome of the Brexit negotiations. Also, importantly, if you no longer live at the address on your UK licence (because you’ve moved to Portugal), this makes the license technically invalid. This is a subject that causes plenty of highly-charged debate on expat forums! There are two stages to correcting the situation: The first involves visiting an IMTT office (the equivalent to the UK DVLA), complete with your UK licence and proof of address in Portugal. This office can issue a time-limited piece of paper that validates your UK licence for driving in Portugal. A few driving schools will offer lessons in English and the opportunity to take a translated theory test. If you’re planning to live in Portugal permanently, it’s best to exchange your UK licence for a Portuguese one. This is a more laborious process that requires more paperwork, including a doctor’s certificate. You also do this at the IMTT office. The easiest way to obtain this is to pay in the region of €60 to see a private GP. One very important thing to note about exchanging your driving licence for a Portuguese one is timing. While the exchange is in progress, you’ll be without your old UK licence. The Portuguese authorities will issue you with a document to show the police if you’re stopped, in Portugal. However, this is of little use to you in any other country. It’s also a big problem if you need to hire a car anywhere. So only exchange your licence when you don’t have to leave Portugal for a while! If you (or a family member) has yet to learn to drive, it’s possible to do so in Portugal. That said, for various reasons it can get complicated. First off, learning to drive in Portugal involves mandatory classroom lessons as well as practical tuition. Virtually all of this is in Portuguese, as is the theory exam. A few driving schools will offer lessons in English and the opportunity to take a translated theory test. Such schools are few and far between, however. Moreover, as there are mandatory hours, you’ll need to make many trips there. Not great since you can’t drive yet! You may find it more appealing to do a crash course and test in the UK before leaving. Car maintenance in Portugal is one thing that’s just like the UK. You have a choice of main dealers, repair chains and independent mechanics. Prices can vary, but may well be lower than you’re used to in the UK. 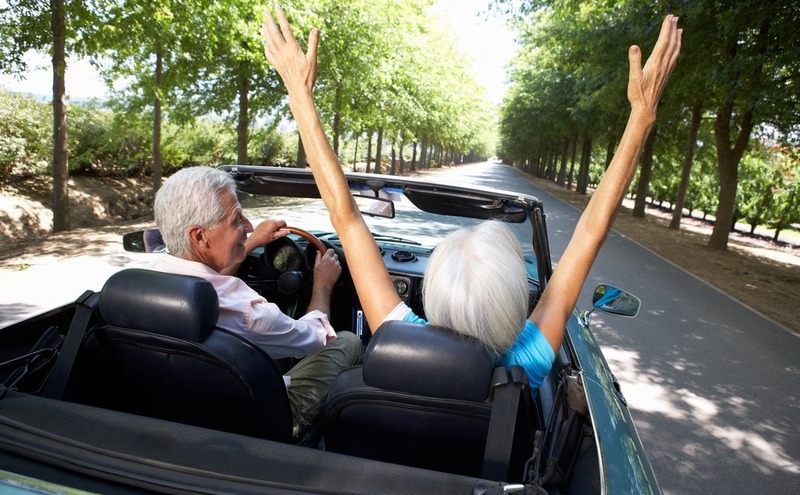 Like anywhere, finding a reliable and affordable place to take your car is a real relief! Portugal has an equivalent to the UK MOT (the IPO – Inspecção Periódica Obrigatória). This is required every two years after the car’s fourth birthday. After the car is over seven years old you’ll need it every year. Driving in Portugal is a pleasure, with empty roads and stunning views. You often have the choice of a good road or a bad road when getting from place to place. An example is the trip between the Algarve and Lisbon. You can drive on the A2 – a beautiful, perfectly-surfaced road that’s often incredibly quiet. Or take the IP1, a hectic, potholed nightmare that switches from four lanes to two and back again repeatedly. The reason for the difference is that the A2 is a toll road (costing around €20 each way for that journey). The IP1 is free. So you do, quite literally, pay your money and take your choice. The width of the Algarve is similar, offering the choice of the A22 toll road, or the free (and notorious) EN125. There’s a great surprise for drivers in Portugal who have become used to the UK. Outside of major cities, and at busy beaches in high summer, it’s unusual to have to pay to park in car parks. This is particularly pleasing at shopping centres. Petrol is quite expensive in Portugal, but it’s significantly cheaper in neighbouring Spain. If you live near the border, you can combine a trip to a Spanish supermarket with filling the tank and make a good saving. Roundabouts in Portugal come with some very specific rules about what lanes you’re supposed to use. These rules can seem illogical, which is why most local drivers ignore them! However, it’s not unheard of for the police to catch people out on roundabouts and fine them. You’ll find details of the rules here. You will notice the cultural differences as soon as you start driving in Portugal. Yet the changes don’t take that long to get used to and before long it all feels like second nature. Just try not to join in with the tailgating and crazy overtaking!